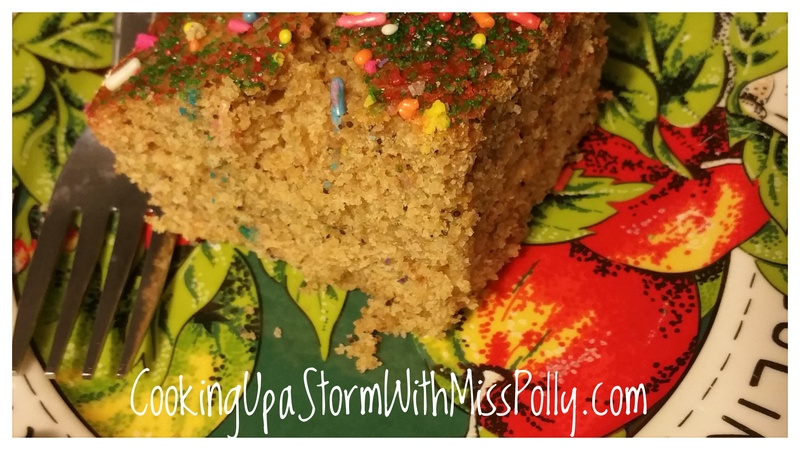 3 and 3/4 cups Sweet Quick Bread mix. The recipe is on the site already. Mix all ingredients together to form a nice batter in a KitchenAid mixer or by hand. 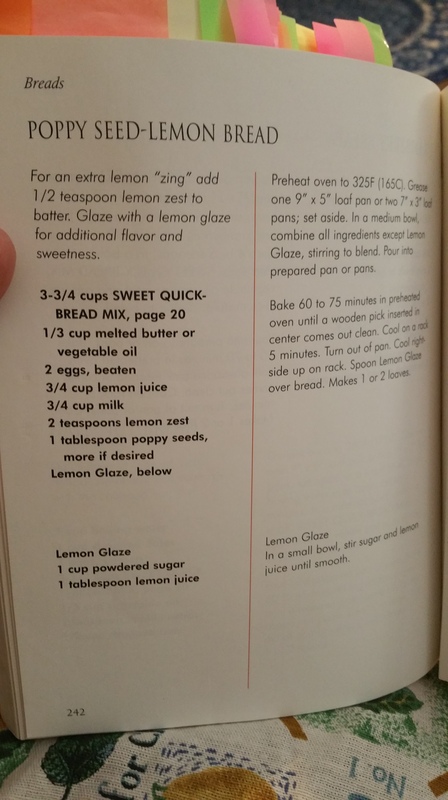 Top with the lemon glaze which consists of 1 cup confectioners sugar in 1 tbsp fresh lemon juice. Or you can simply top with colored sugars and cake decorator sugars that you find in your cake decorating section in the store. 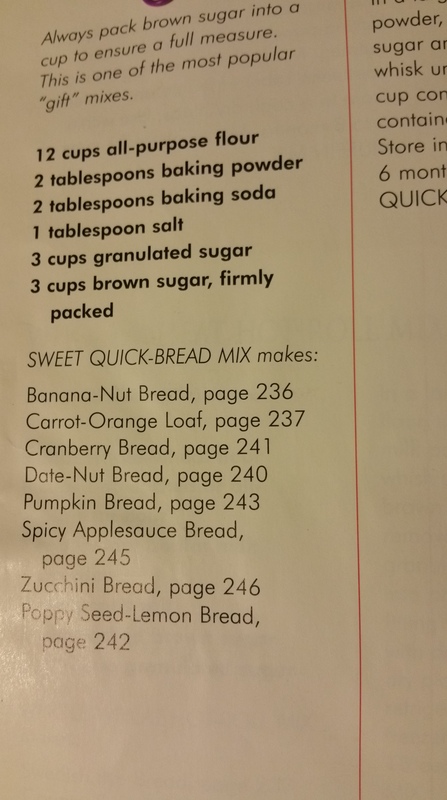 Feel free to make the mix with whatever kind of flour you like. I’m just trying to eat more whole grains in my diet, so I made it with that because it has so much fiber. Even made with 100% whole wheat pastry flour, it still is a very light bread and moist. This comes from the book Make A Mix by Karine Eliason, Nevada Harward and Madeline Westover. It is a phenomenal book, especially if you have a family and want to quit buying packaged things with tons of preservatives and salt and want to make your own and feed your family healthier. If you are a family of one like I am, you’ll love it too! ISBN +1-555-610-7304 for the paperback. For the hardcover of this book it is ISBN 1 55561 – 107 – 9. Recipe adapted from the Make A Mix by Eliason, Harward and Westover by Paulette Motzko. Photography and digital photo editing by Paulette Motzko.